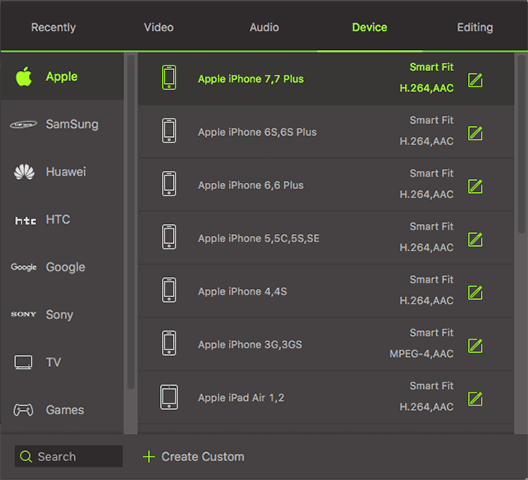 Failed to play your videos on iPhone, iPad, iPod, Android device or PSP? Don’t worry. 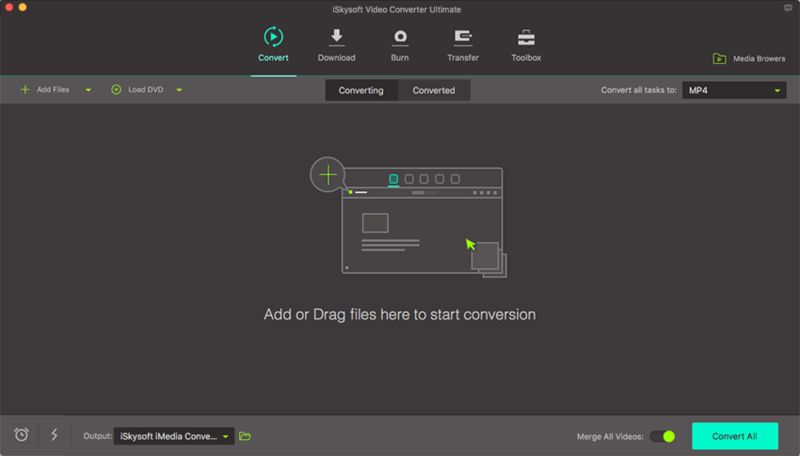 Everything will be easy when you use iSkysoft Video Converter Ultimate for Mac, which can help convert video to any device supported format as you want. 2. Click "Add Files" button from the main window to load video or audio files from your hard drive, devices or camcorder. After importing your video, now go to the format tray on the right of the interface to set output device. Here you can choose to convert format from video, audio and device categories, and select specified format under each category. This Mac video converter provides diverse optimized presets: Apple devices including iPad, iPod, iPhone (iPhone XS (Plus)/iPhone XR included), Apple TV and a variety of players like PSP, PS3 Xbox 360, PS3, Wii, Samsung Galaxy, Sandisk Sansa, etc., making the video conversion for your portable devices as easy as 1-2-3! By the way, if you choose one of the Apple devices as the output format, and want to add output files automatically to iTunes after the video conversion. Set from "Menu" > “Preferences” > “Convert” to activate the convenient feature. Before converting and exporting video to your device, you may need to edit it first. 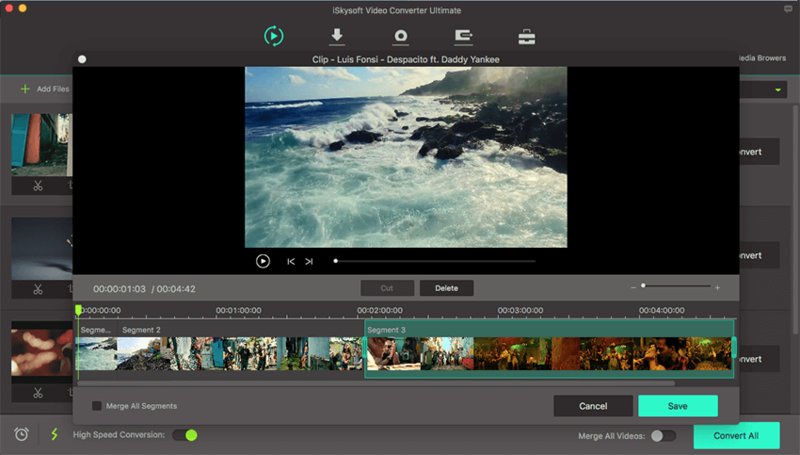 Then you can try the built-in video editor of this video converter for Mac. As you can see, there are several editing icons under the pre-view window of each video referring to trim, crop and effects. Just go to the corresponding tab to trim or crop video, and add subtitle/watermarks/effects to your video as you wish. At the last step, please set the output path by clicking Menu > Preferences > Location, and then click the “Convert All” button to convert your video for playing on any device. You can also opt for converting one by one, in this case, just hit the "Convert" button by side of each video or audio.